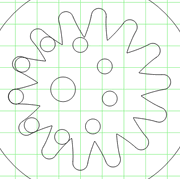 The free evaluation copy can do everything that the full version can do, but all output is shown "wobbly". It allows you to fully explore the program's capabilities, but the display is a little distorted. You can also read the full manual online without buying the program. 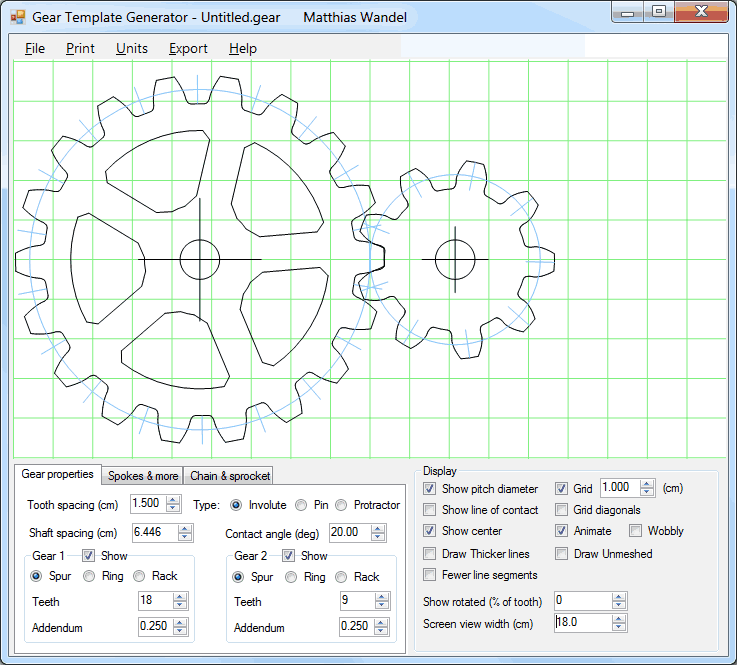 The gear template generator program is a program for printing paper templates for cutting out gears. It can do everything that the online gear template generator can do, and much more. On payment, you will be able to download your software immediately. A download link will also be emailed to you automatically. Some email programs may treat this email as spam, so please check your spam folder if you did not receive the email.